Social media has become a fundamental feature of everybody’s life. From the moment we wake up to the moment our heads hit the pillow at night, we have at some point come into contact with one of the various platforms. To be honest, I cannot remember a time where this was not the case, and that frustrates me. I strongly believe that the use of social media has a lot to answer for in terms of an individual’s quality of life, and quite possibly their mental health- speaking from experience. It is undeniable that sites such as Facebook, Twitter and Instagram have their positive features, such as talking to distant friends, sharing memories and reconnecting with individuals from the past. 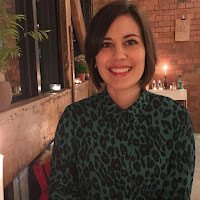 For myself, I have also noticed the benefits in terms of raising awareness of eating disorders through my blog, receiving supportive messages and communicating with professionals to help me with my recovery. On the other hand, I can too see the negatives of particular social media platforms. I cannot count the amount of times that I searched for a positive eating disorder recovery blog, only to be horrified by the link that was falsely advertised. As a sufferer that was desperate to get better, I wanted to find a supportive community that would encourage and provide advice on how to do so. However, I quickly realised that finding such a network was very difficult. Instead, the Internet was crawling with destructive pro-Anorexia websites, subtly disguised, with the use of search engine optimisation, to give the impression that they were helpful and positive. This is worrying- very worrying. As an individual in an extremely vulnerable position mentally, viewing these websites could have been incredibly damaging, had I have not been in the mindset of wanting to get better. If the situation was turned on its head, and I was actively seeking what my eating disorder wanted, then access to these sites could have been fatal. The fact that individuals can gain access to these websites, regardless of their age, regardless of their intentions or regardless of their current health situation is scary. But it is not just a simple Google search that can bring up these websites; creators of such content can prey on their victims through the use of all types of social media. Following them on Twitter or Instagram, or sending a friend request over Facebook, all it takes is one click for a susceptible person to fall into a harmful trap. Similarly to how damaging social media can be when somebody is suffering, viewing content online can also be difficult during the recovery process. I have realised that I cannot block myself out from the rest of the world in fear of something triggering a relapse, and so have decided to keep my social media accounts active. However, I did start to recognise how potentially testing this would be. Instagram presents challenges with every viewing. Within a few clicks I can be sucked into observing what ‘healthy’ foods everybody else is eating. Beautifully presented plates, embellished with a myriad of vibrant vegetables- everything my eating disorder is telling me I should be surviving on. As I scroll through the images, I see less and less of what I have been informed I must eat, and somehow I feel tricked. If this beautiful, healthy woman can live on plates of vegetables, then why can't I? Why must I eat carbohydrates, fats and processed foods? I begin to question everything I have been taught, and slowly I can feel the anorexic voice becoming louder and louder with every decision I make, based on what I have viewed online. But this is not real life! Is this gym-loving, all natural health goddess really going to share on her account the tub of ice cream she indulged in last Saturday night? Is she willing to post a photo of the home cooked Sunday roast with all of the trimmings that she shared with her loved ones at the weekend? Or is she honest enough to upload an image of the bag of popcorn she shared with her friend at the cinema? No, most probably not. The beauty, and beast of social media is that you can make yourself whomever you want to be- and consequently convince others of that too. For people like myself, I am still very vulnerable in terms of following others to satisfy, or add on to certain food and lifestyle rules that I have developed. I have to continuously tell myself that I must trust what the health professionals are stating to me, not the social media ‘specialists’. Some days I convince myself that I would benefit more in my recovery by deleting all social media accounts- remove all temptation. But then I realise that this would not achieve anything. The nature of today’s world means that I would probably be isolating myself more by doing this. Not only that, but this would be avoidance- doing everything I can to not build up my resilience, instead just trying to block out all potential triggers. This is not going to aid my recovery, as what about if I am left with no choice but to access social media in the future for my career? Similarly to every challenge I am facing in my ongoing journey, I need to confront them, not run away. It’s truly harder than anything to be active on social media these days and not be tempted to relapse. I, too, see all of the plates of "beautiful" vegetables, and have a hard time not thinking, I can do that, too. It's all about finding the right balance for each of us, and you sound like you are strong enough to do it!